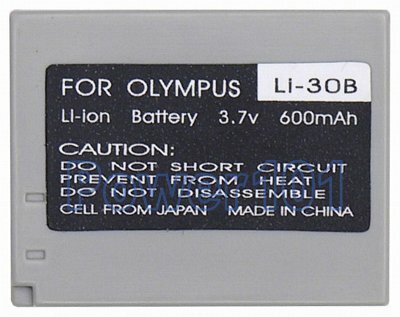 Rechargeable Li-Ion battery for Olympus LI-30B. Compatible with the following cameras: Olympus µ (mju) Mini Digital, Olympus µ (mju) Mini S, Olympus Stylus Verve, Olympus Stylus Verve Digital. If you have a different camera, please check our camera compatibility list to find which battery you need. This is the only choice for Olympus Mini, µ-mini, and Stylus Verve Digital camera models. There are no other batteries made for these cameras. 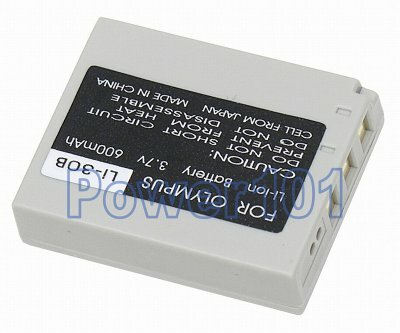 This battery can be charged by any standard charger compatible with Olympus LI-30B battery, such as the charger that comes with your camera.